Panduit cable ties provide comprehensive bundling solutions including cable ties that are available in a wide range of sizes, styles and materials for fastening, bundling, clamping and identifying in a variety of applications. 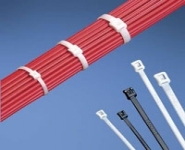 Panduit cable ties are designed and manufactured to meet or exceed industry standards to deliver maximum reliability. As part of the total cable bundling solution, Panduit provides a broad range of cable tie installation tools to optimise safety and speed. Panduit Nylon Cable Ties - nylon cable ties with steel barb, Super-Grip cable ties, two piece nylon cable ties, lashing cable ties and automatic cable tie. Panduit Clamp Ties - clamp ties with steel barb and two piece clamp ties. Panduit Marker & Flag Cable Ties - marker and flag ties with steel barb and two piece marker and flag cable ties. Panduit Push Mount Cable Ties - including with steel barb. 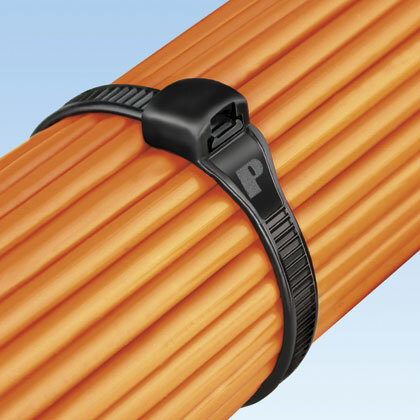 Panduit Speciality Cable Ties - Dura-Ty cable ties, Halar cable ties, Tefzel cable ties, Polypropylene cable ties, PEEK cable ties, Metal Detectable cable ties and Double Loop cable ties.